I missed the memo about pedicures. My mom worked in the beauty business when I was a kid, so I suppose the idea of going to a nail salon on her day off didn’t seem like fun. No mother-daughter mani-pedis for us. Strike one. I have some weird working-class sensibilities about things. For a long time, the idea of paying someone to literally sit at my feet and pamper me just seemed elitist and wrong. Strike two. I hate feet. I hate my feet, I hate other people’s feet. I don’t really like my feet to be touched, I don’t like touching other people’s feet, and if someone touches me with their feet, I have a little freak out. Strike three. The Unknown star told NBC’s The Tonight Show With Jay Leno on Tuesday that he was a “late convert” to the treatment but credited it with helping ease pain in his feet. “This gorgeous woman called Jackie in New York who is from Brazil used to come and do my wife’s feet and fingers, and she now still comes and does my mother-in-law’s feet and fingers,” he explained. 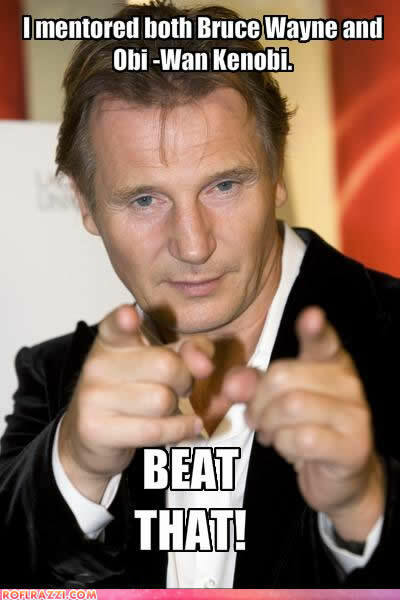 Liam Neeson is all kinds of awesome and I give him props for spreading the pedicure gospel. When I finally got a professional pedicure, it wasn’t life changing, but it was very nice. It took me a while to get over my initial discomfort and ticklish-ness but now I look forward to pedicures more than I look forward to Christmas. Here’s the thing about pedicures that I didn’t understand before: It’s not just the process, which can be very comfortable and nurturing when it’s done by a skillful and gentle nail tech, but it’s also the product. My feet look and feel a gazillion times better when their maintenance is entrusted to a professional. Bust out those strappy sandals and show off those toes! And here’s something else. For me, getting pedicures was a little lesson in the benefits of vulnerability. When I finally (and literally) dipped my toes in the pedicure pool, I didn’t feel haughty, I felt humbled. I’m not much of a Bible scholar, but I guess I felt kind of like Peter when Jesus offered to wash his feet. 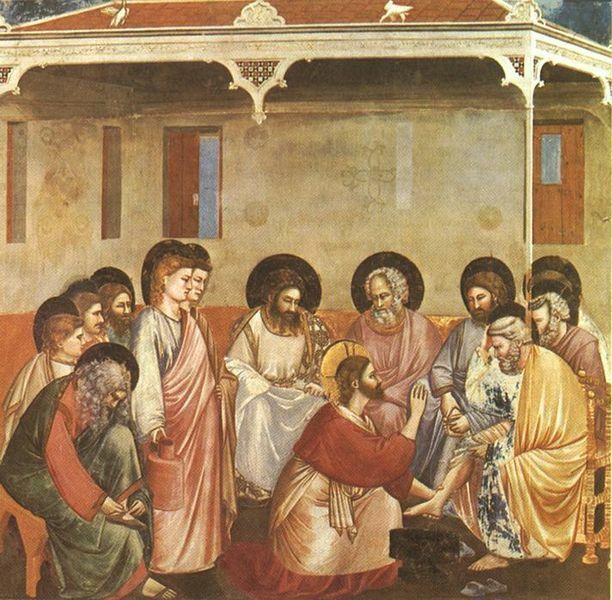 Peter initially resisted when Jesus offered to wash his feet. I mean, Peter was just this lowly fisherman and Jesus, was, you know, Jesus. But the thing about foot washing is that it’s not just a humbling act of servitude for the washer, it’s a humbling act of stillness and acceptance for the washee. Pedicures have been good for my feet, and they’ve been good for my soul, too. So pedicures as religious experience? Yep. Memo received. I got this memo a little late in the game as well due to living with your strike number 2 above. I think I was about 27 or 28 the first time I had a pedicure. What a wonderful thing! Glad I got the memo!